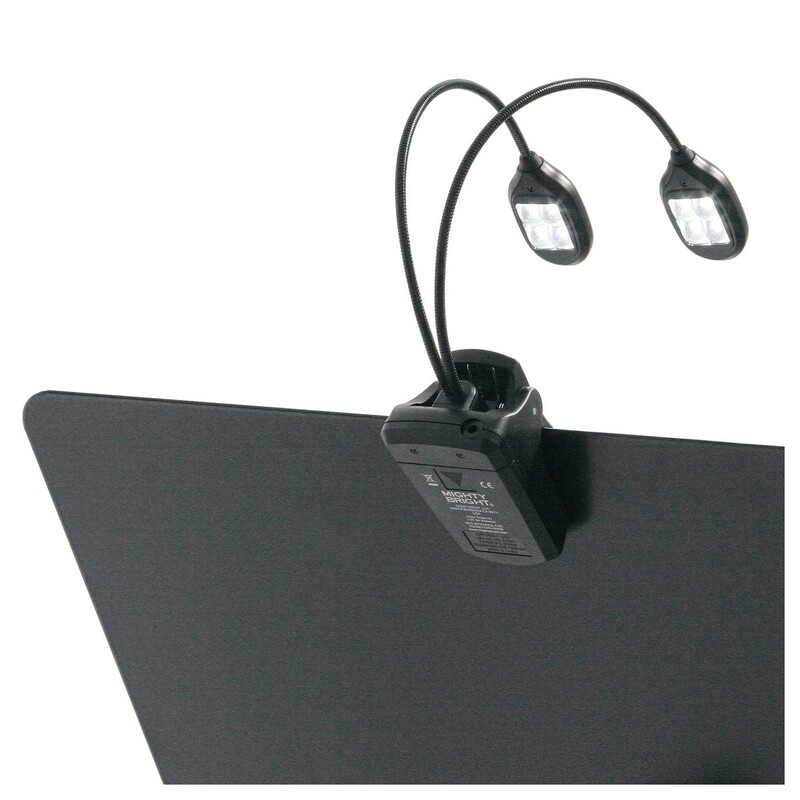 K&M Light for Music Stand "Twin Head"
This K&M Light has been designed for use with music stands and features a "Twin Head" for optimum light coverage. 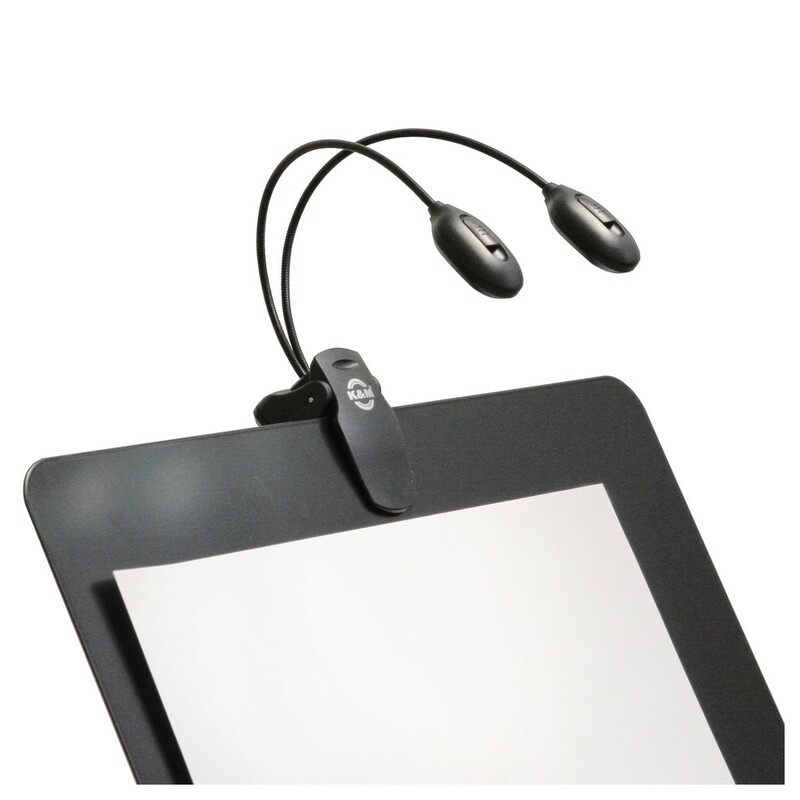 The gooseneck gives users the choice between a focused beam or flat light. Both light heads come with four LEDs, enabling players to switch each off individually for much more control and usability. K&M's latest LED technology guarantees a bright light source, long product life and minimal energy consumption. 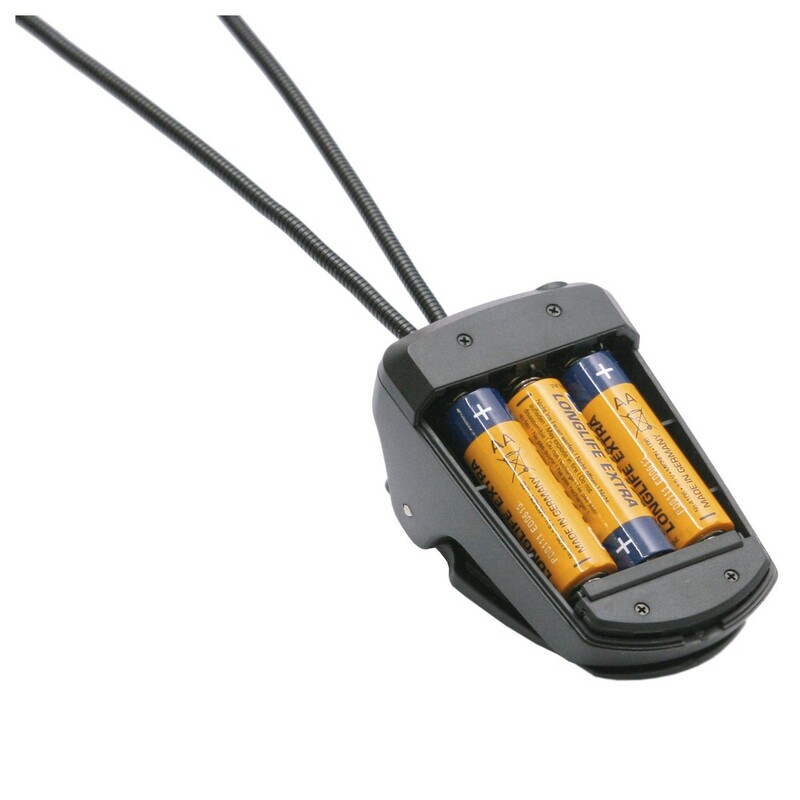 The clip is capable of attaching to surfaces with a thickness of 25mm or less. 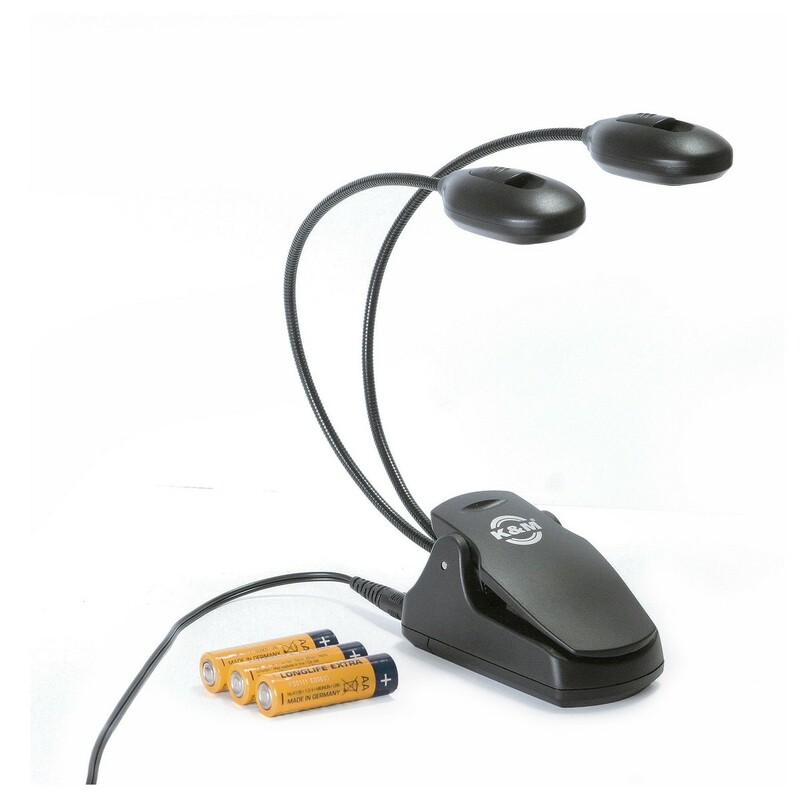 The light can be powered using either batteries or via an external power supply.